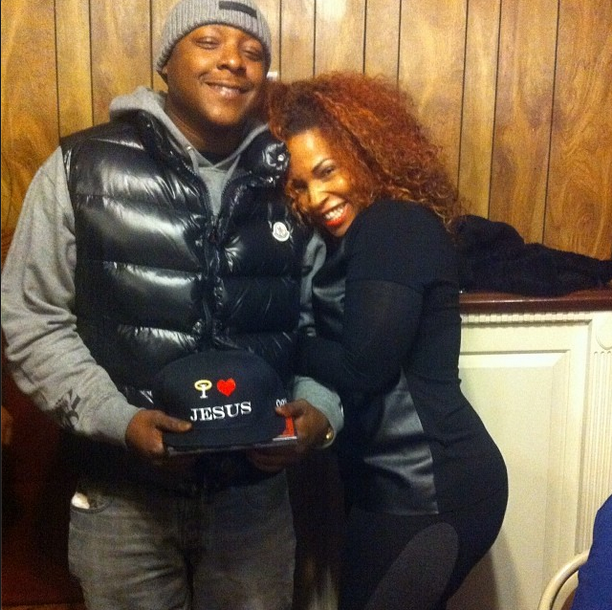 Def Jam rapper Jadakiss recently posed with media personality Free. 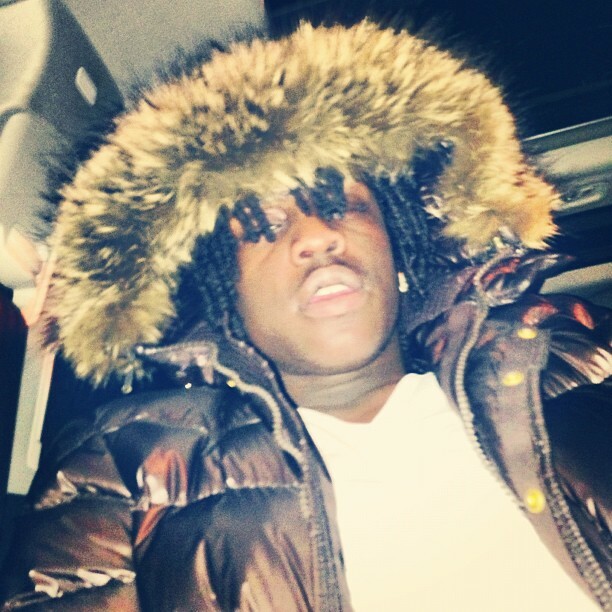 He rocked a $550 Moncler Tib Puffer Vest layered over a grey hoodie with a skully and jeans. This vest was trendy a few years ago. I remember when it was selling out left-to-right at Saks and Bloomindale’s. 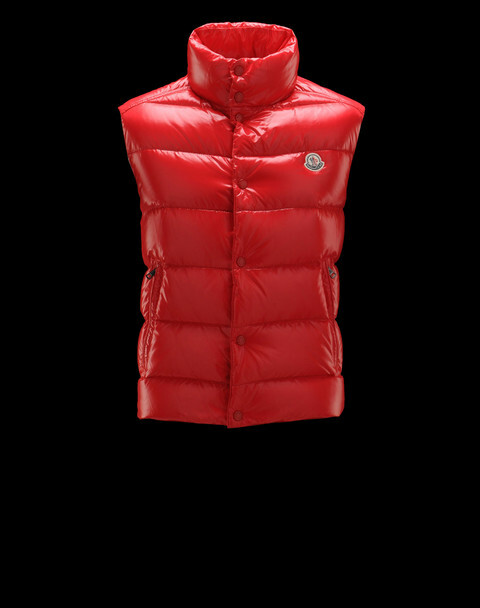 Jada’s gloss-finished down Moncler vest features a front snap and hidden zip closure, vertical zip pockets and logo patch on the chest. 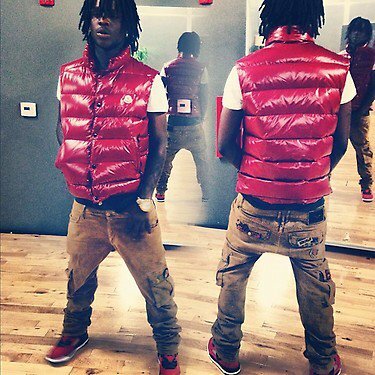 You can purchase this vest at Nordstrom, Neiman Marcus, or SSENSE. 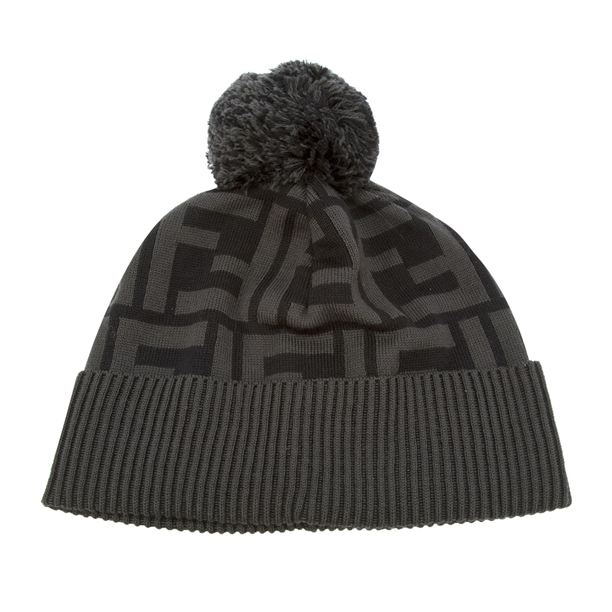 Last month rapper Vado rocked a black bubble Moncler coat and black denim jeans accessorized with a $109 Fendi Black Monogram Bobble Hat, $194 Fendi Gray Monogram Scarf and a $375 Fendi Black Enamel Belt. Earlier in the week, this Harlem native and former Dipset affiliated took his talents to South Beach and inked a deal with DJ Khaled’s ‘We The Best’ imprint. See the original post here! Rapper Fabolous recently stopped by his Brevoort Houses neighborhood in Brooklyn, New York to film the official visual to his single “B.I.T.E.”. 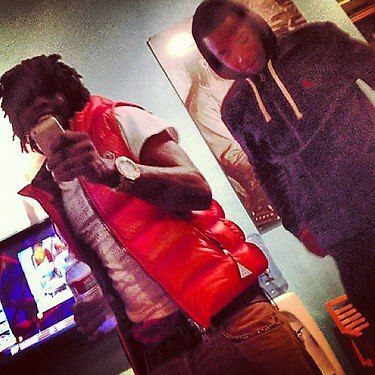 The Teddy Da Don track is featured on Loso’s latest mixtape, The SOUL Tape 2. For his visual shoot, the Def Jam rapper styled in a camo color Moncler Coat, white sweater and blue jeans. 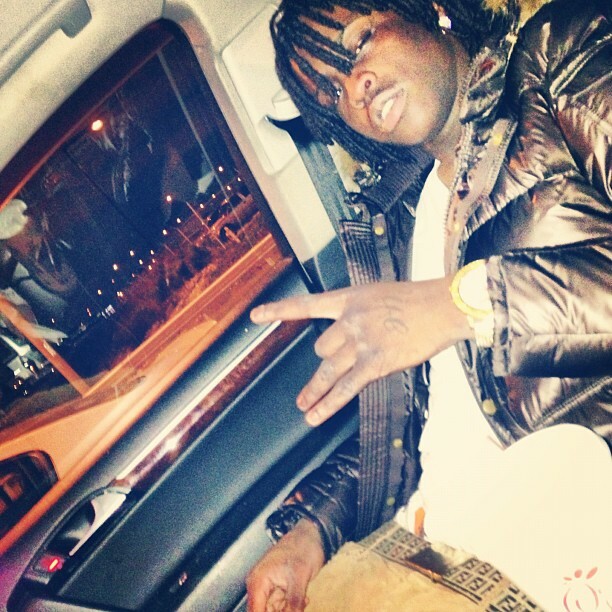 He accessorized his outfit with a $570 gold buckle “H” Hermes belt. Loso’s new album arrives next year. Maybach Music Group rapper Meek Mill was photo’d holding a pair of Puma sneakers at GB’s inside of the Jamaica Colosseum Mall in Queens, New York. 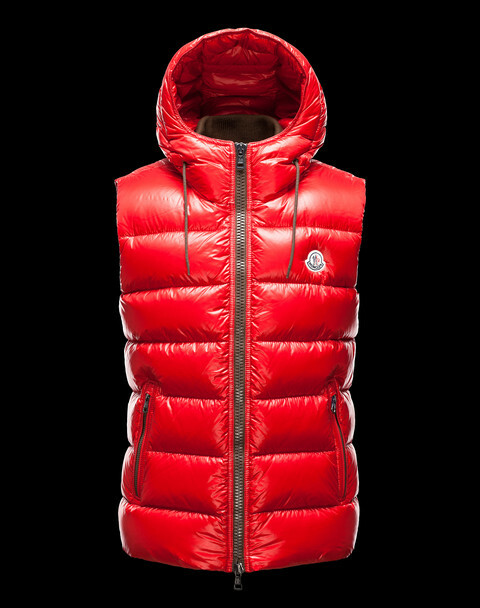 Meek wore a red Moncler Hooded Parka Jacket. 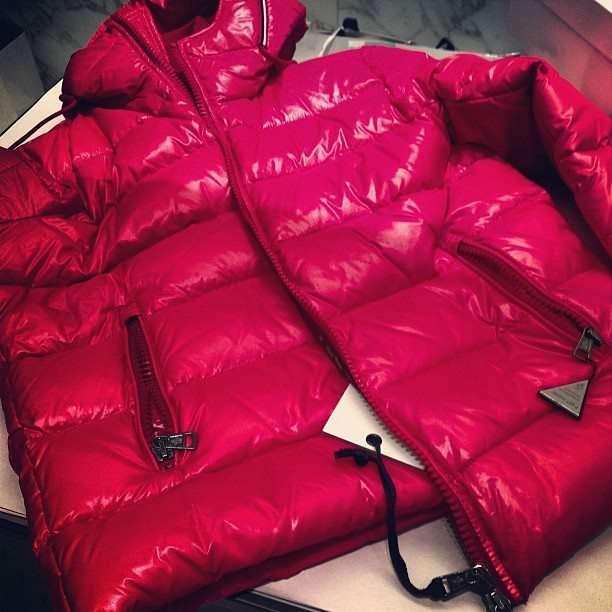 He was also photo’d holding a puppy in his Moncler jacket. A few months ago, Meek inked an endorsement deal with Puma. His debut LP, Dreams & Nightmares debuted at #2 on Billboard’s Top 200 and #1 on the Top R&B/Hip Hop Albums chart, with over 167,000 copies sold in the first week. Buy Dreams & Nightmares on iTunes now. 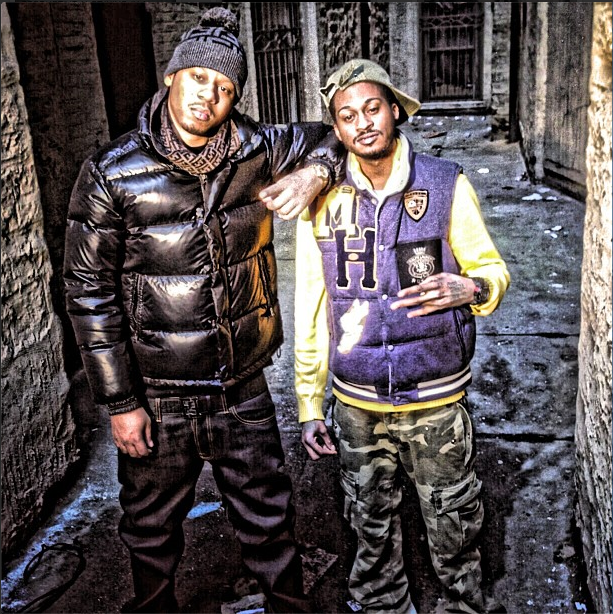 Award winning music producer Hit Boy recently stopped by Complex’s Headquarters on 23rd Street in Manhattan, New York. I’m not sure what he was doing there but I’m assuming it involved a photo shoot and interview. For his visit to the music and fashion publication, he sported a pair of $545 white Balenciaga Areana Sneakers paired with a black denim jacket layered over a white hoodie and ripped denim jeans. 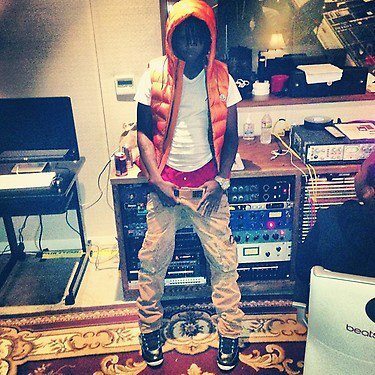 Rapper Chief Keef is back on the California coast at the Beats by Dre studio working on his debut album, entitled Finally Rich. The album’s new arrival date is December 18th. 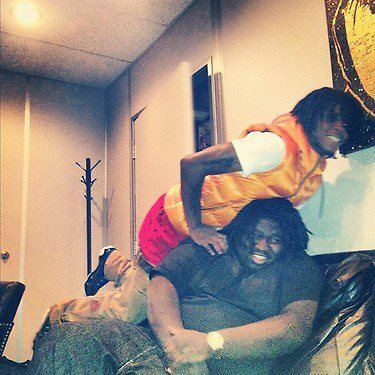 He was recently in the studio with producer Young Chop and friends. 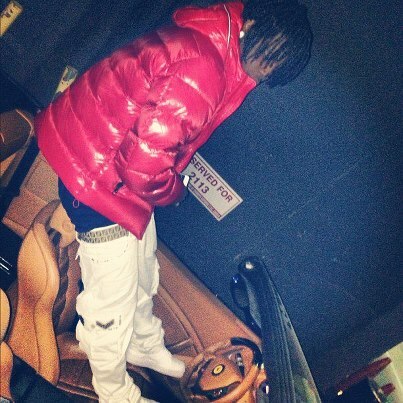 When he wasn’t recording, Keef decided to do what he does best (upload pictures on himself wearing designers). 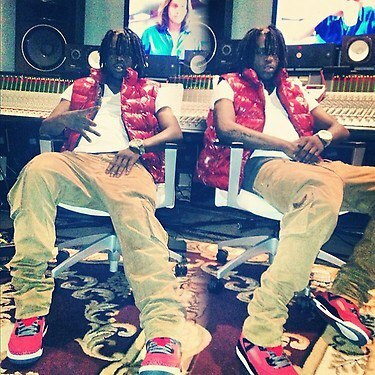 Keef was wearing a $895 Moncler Bartholome Vest paired with a white Polo V-Neck tee-shirt, Robin’s Jean Cargo Pants and Air Jordan sneakers. He accessorized his outfit with a Fendi belt and Ralph Lauren Polo boxers. 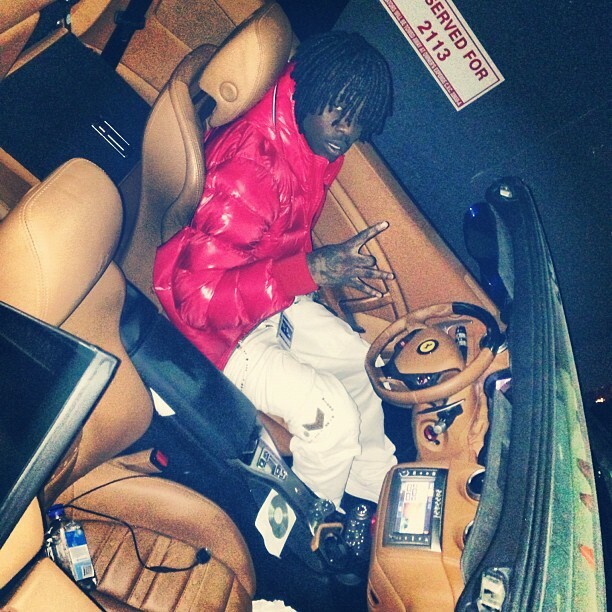 Chief Keef was recently photo’d at an undisclosed location in a black Ferrari for a photo shoot. As always, he decided to do what he does best (upload pictures of himself wearing designers). He was wearing a $995 Moncler Maya Jacket layered over a white V-Neck tee-shirt, Robin’s Jean Cargo Pants and white Nike Air Force 1 sneakers. 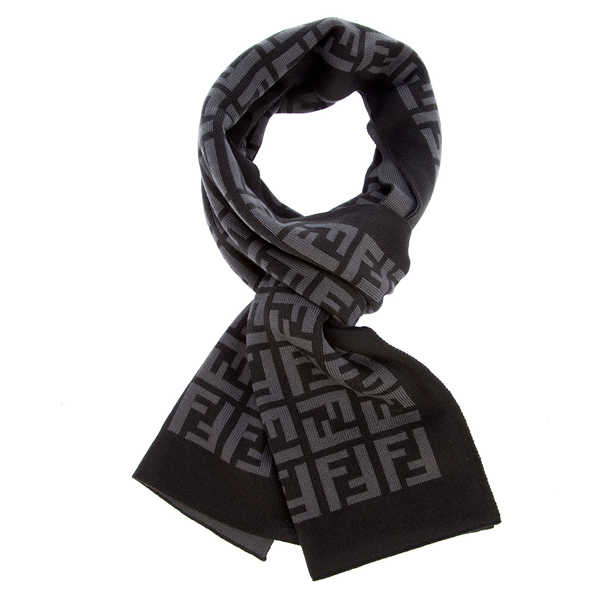 He accessorized his outfit with a Fendi belt. Do you have any thoughts on his outfit? The 17-year-old rapper debut album, entitled Finally Famous drops on November 27. He recently did a photo shoot for the album’s packaging which was shot by famed photographer Jeff Forrey. Enjoy the behind the scenes footage here! 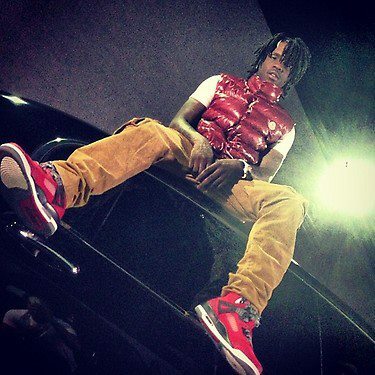 Tonight Saturday (October 20), rapper Chief Keef is scheduled to perform at Dubai Nightclub (200 E. Redwood Street) in Baltimore, Maryland. 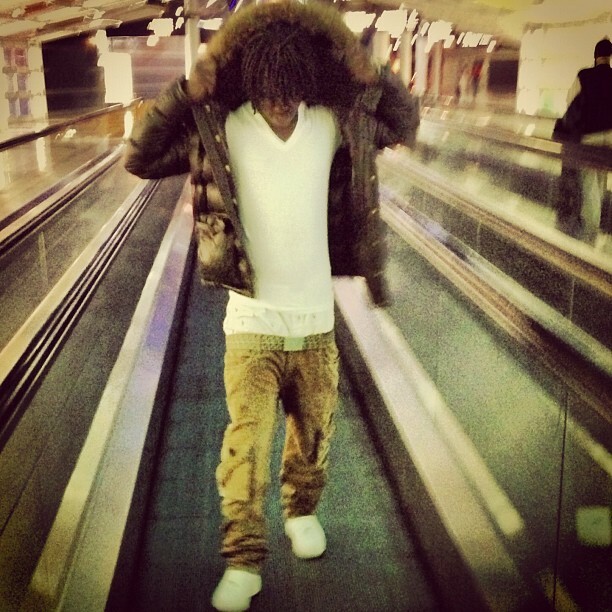 While making his way through the airport and driving around Charm City (B’ More), Keef decided to do what he does best (upload pictures on himself wearing designers). 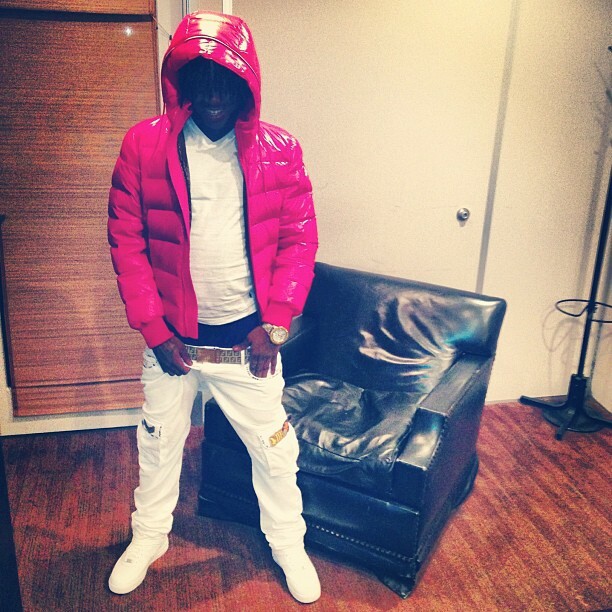 Keef was wearing a $1,625 Moncler Hubert Jacket paired with a white V-Neck tee-shirt, Robin’s Jean Cargo Pants and white Nike Air Force 1 sneakers. 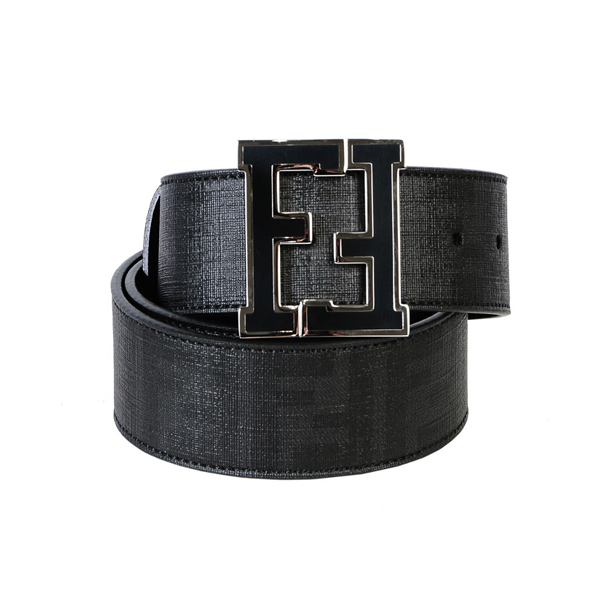 He accessorized his outfit with a Fendi belt. Do you have any thoughts on his outfit? The 17-year-old rapper debut album, entitled Finally Famous drops on December 18. He recently did a photo shoot for the album’s packaging which was shot by famed photographer Jeff Forrey. Enjoy the behind the scenes footage here! 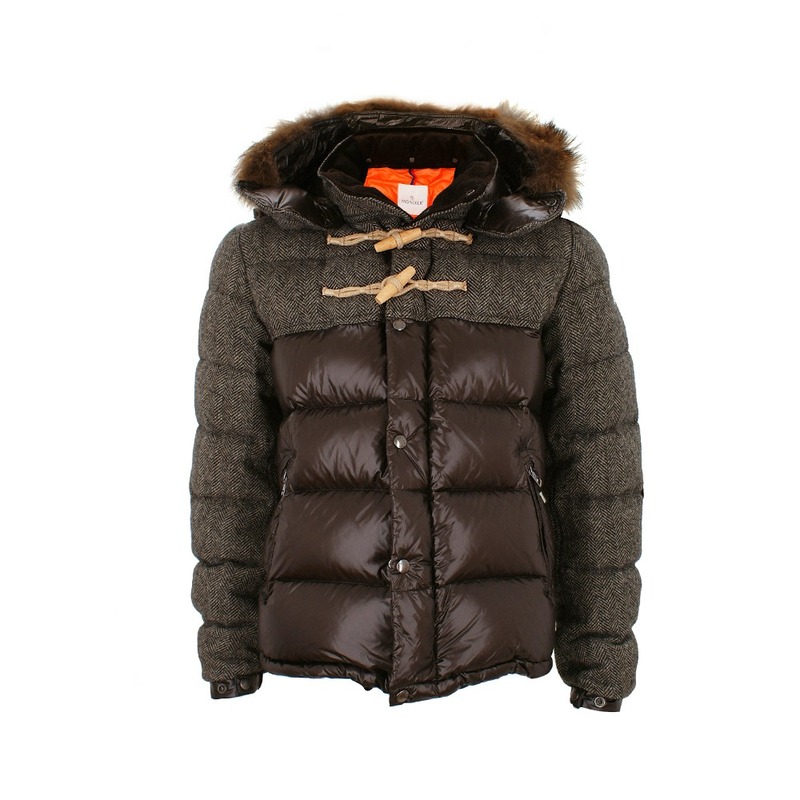 Moncler was founded in 1952 by French fashion designer René Ramillon. 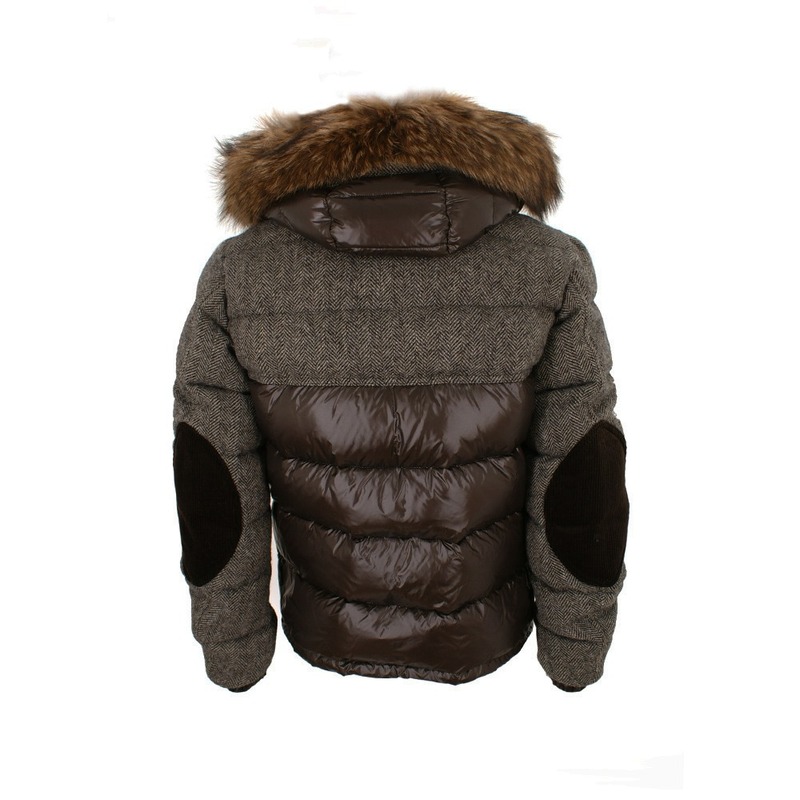 The upscale brand specialty in high-end down jackets and sportswear. 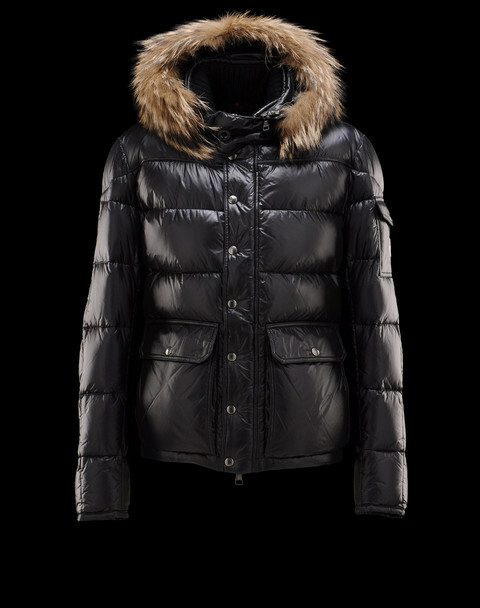 Over the past few years, Moncler became Hip Hop’s staple winter gear.The jackets range in price from ($525-$1200). 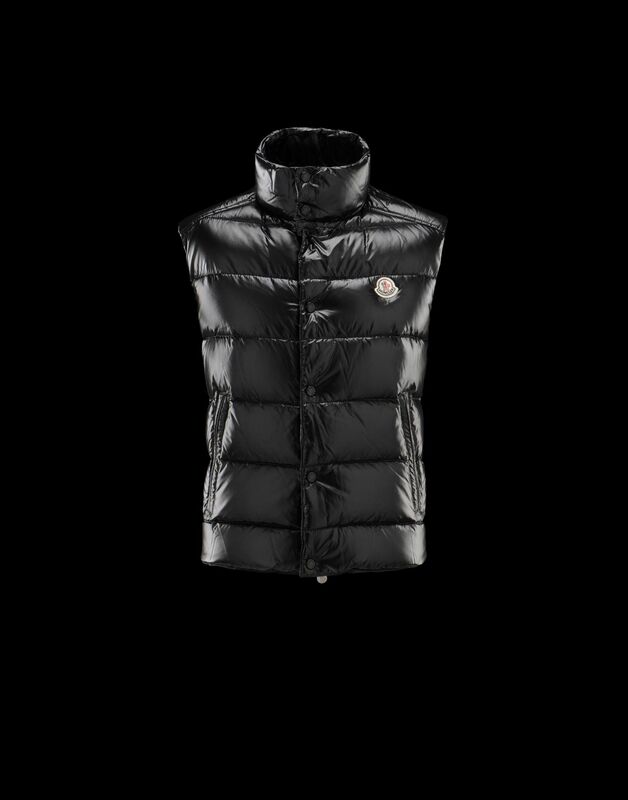 All of the vests below, can be order online at Moncler.Com. 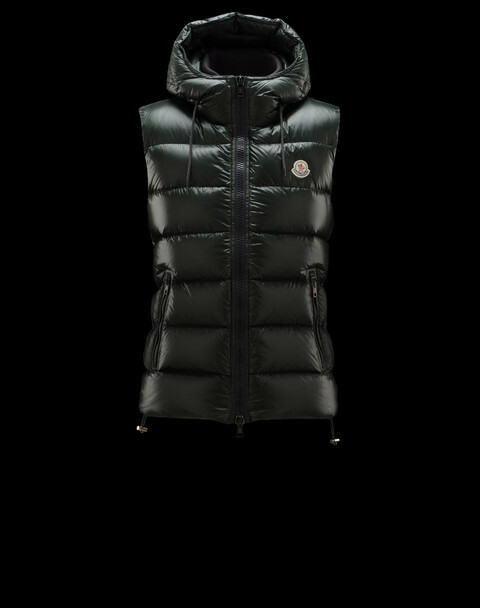 Moncler TIB $525, this vest has side pockets with zips and front logo. 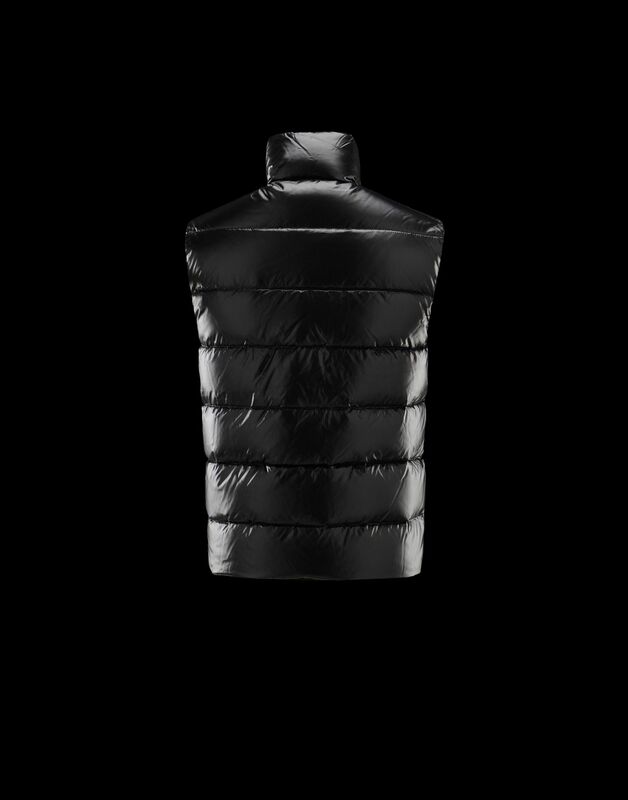 Moncler Batholome $875, this down-proof nylon vest has a knitted inside collar, fixed hood and side pockets with zip fastening. 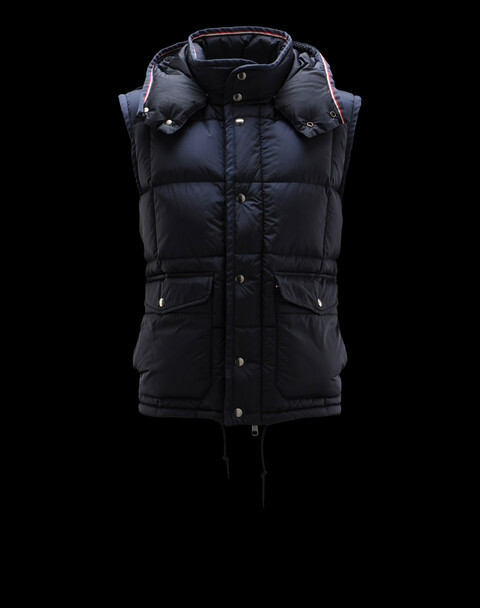 Moncler Tapajos $875, this vest has a detachable hood, edges with French flag detail, shiny logoed buttons and pockets with button fastening.